If you’re a stickler for detail, love science and medicine, and want a challenging career in which you can help others, becoming a pharmacist may be the perfect fit. And if you’re looking for a way to enjoy variety, visit new places and work with great people, becoming a pharmacist might be just the ticket you need. Depending upon the practice setting, the role of the pharmacist can vary quite a bit. 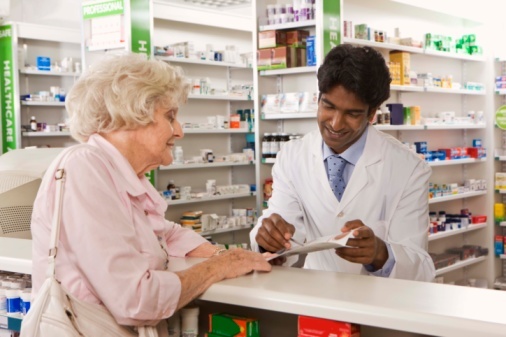 The most common positions are in community-based retail pharmacies, where pharmacists dispense medications to patients and provide advice for using then safely. Clinical pharmacists work in hospitals and other healthcare settings, making recommendations for patient care as part of a multi-disciplinary team. Consultant pharmacists advise healthcare facilities or insurers regarding best pharmacy practice, as well as providing education directly to patients. Some work in academic settings, providing instruction to the next generation of pharmacists. What duties do Pharmacist have? Fill prescriptions based on accepting, reviewing and verifying physician orders. Cross check new prescriptions with other medications the patient is on to assess for interactions or contraindications for use based on the patient’s health history. Provide instructions for patients regarding how and when to take prescribed medications. Advise patients about potential side effects that may occur. Advise patients regarding general health issues, such as diet, exercise, stress management, or what equipment or supplies would be best to address a health problem. Collaborate with insurance companies and complete needed documentation to ensure patients receive coverage for the medications on their plans. Supervise the work of pharmacy technicians and pharmacy interns. Keep records and perform other administrative tasks. Provide education to other health professionals about appropriate medication therapies for patients. What qualities does a great pharmacist have? Analytical skills – they must provide medications safely, with efficiency and accuracy. 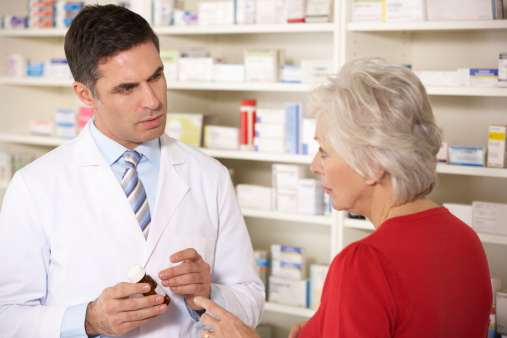 Communication skills – they must be able to provide clear advice to patients about safe medication use. Detail oriented – they carry the final responsibility for approval of medications leaving the pharmacy, so there’s no room for error. Managerial skills – this is especially important in the retail pharmacy setting, where supervision of others is part of the job. You get to help people get well. You get to work directly with patients. You get to enjoy a variety of career opportunities. You’ll be high in demand. You’ll be a valued member of the healthcare team. You can make a great salary. You may need to stand for long periods. The environment can be hectic with great responsibility. You may need to work off-hours, weekends, and holidays. Entry level requirements are higher now than they used to be. Pharmacists are required to have a Doctor of Pharmacy (Pharm. D.) degree from an accredited pharmacy school to practice. This degree program requires at least two years of undergraduate study, followed by four years of professional coursework and training. Most first year-students entering a pharmacy program have already completed three to four years of college. Pharmacists who specialize typically require additional education and training. Licensure is also required, which involves passing two separate exams – one in pharmacy skills and knowledge, and the other in pharmacy law for the particular state of practice. According to the Bureau of Labor Statistics, there were 274,900 working pharmacists in 2010. Of those, 43% worked in pharmacies and drug stores. The next most common setting was hospitals – at 23%. Within this group, the median wage was $111, 570 annually, with the lowest 10 percent earning less than $82,090, and the top 10 percent earning more than $138,620. Most pharmacists work full-time, but about 21 percent of those surveyed worked part-time. Work hours vary based on the setting for practice. Many pharmacies in all settings are open 24 hours, so off-shifts, weekends and holidays can be expected. The pharmacy profession is expected to grow by 25 percent from 2010 to 2020, which is a rate faster than average for all occupations. Factors such as the advent of new drugs, an aging population, increased insurance coverage for drugs, and medical advances with increasingly complex treatment protocols are expected to drive the demand. What other medical careers are similar? Medical careers that are similar regarding educational requirements and salary are biochemists and biophysicists, medical scientists, and physicians and surgeons (typically require more extensive training). Those with a similar focus on pharmacy in particular are pharmacy technicians, but the educational requirements and pay are much less. Those with a similar focus on directly helping patients are registered nurses, with lower educational requirements, and lower pay as well. Traveling pharmacists enjoy some great benefits – they get to work with great people, in new places, and may work in some of the best healthcare settings in the country. And the salary is even higher than what a typical pharmacist makes – plus benefits and living expenses are often included. So if you want to combine your desire to help others with a challenging and evolving career, you may want to consider pharmacy as the perfect fit. And if you’re looking for a change of pace along with change of place, becoming a traveling pharmacist might be just the answer you’ve been looking for.